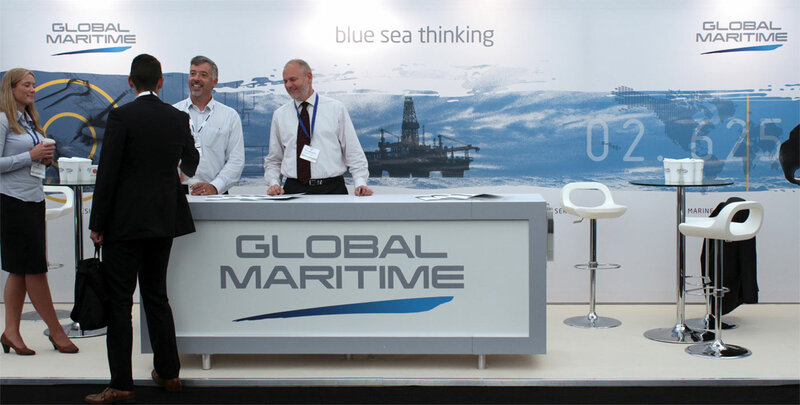 Global Maritime is a very well-established company with a great offer, but in September 2013, a Management decision was taken to communicate the brand more effectively to the offshore industry and clarify its identity and mission for its employees. Extensive research, including an online employee survey that achieved a 90% response rate, and face-to-face workshops held in Aberdeen and Stavanger, allowed us to develop a solid understanding of the essence of the Global Maritime brand. We then used this to inspire a completely refreshed brand, building on the established origins and crafting a standout statement worthy of the organisation. Not only did this convey the company’s story to the world, it also united a network of rapidly growing international teams behind a common cause. Having created messaging that highlighted Global Maritime’s excellence in technical innovation and a new look and feel that captured its commitment to moving the industry forward, a new tagline – blue sea thinking – let audiences know that Global Maritime could offer an effective and innovative approach to overcoming marine challenges. Internally, work progressed together with the Communications and HR departments to put in place a formal set of values and behaviours designed to ensure that the business performs in line with its brand principles. With our support, Global Maritime launched the values at a series of workshops, which ran across the regions to unite the entire team behind its proposition and story. The new brand was revealed to the industry at Offshore Europe, making attendees, many of whom had not previously appreciated the full capability of Global Maritime, stop and take notice of what the united organisation could really do. The brand continues to let the industry know that this is an exciting time to work with, or indeed for, Global Maritime. Reflecting this success, the company’s headcount has almost doubled since the project was launched. Blue sea thinking won first prize in the tagline category at the 2014 Global ACE Awards and the brand guidelines received an honourable mention in the employee publication category at the 2014 Marcom Awards. The branding work has been a shot of adrenaline, shaping our entire presence and developing the business into the service of choice for our clients and better place to work. We’ve achieved buy-in and support from all regions, and we now have a great platform for further continuity and consistency.